It was battle of the blinds as Layne Flack in the small blind made it 56,000. 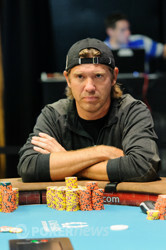 Adam Kagin in the big blind moved all in, and Flack made the call. 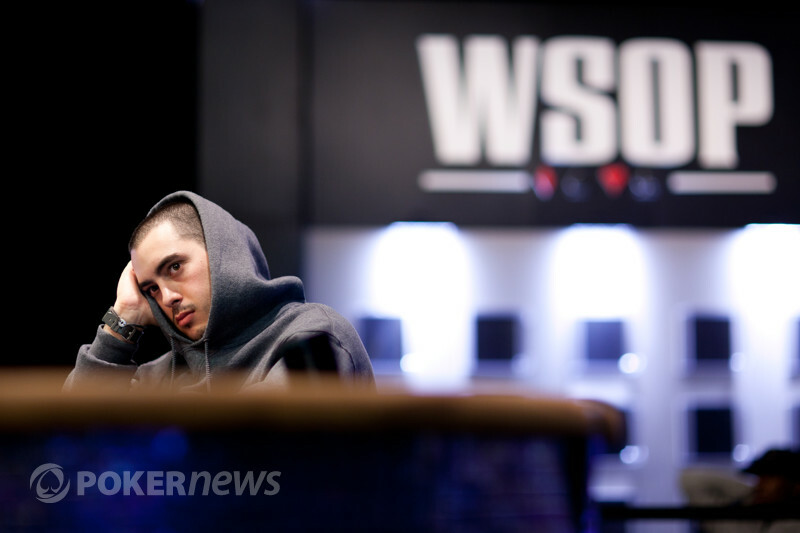 With Flack's tournament life on the line the dealer spread a flop. Flack needed a king or a queen if he wanted to add to his jewelery collection. A on the turn changed nothing, and a on the river sent Flack packing. Flack came out swinging at today's final table, collecting a large chip stack and mandating action for most of the early levels. After losing a few flips though Flack's stack shrank and shrank, making him the short stack at the table. Flack will be leaving with $87,446 for his efforts today.